Marks the location of the Robert Pike Homestead, built in 1639. 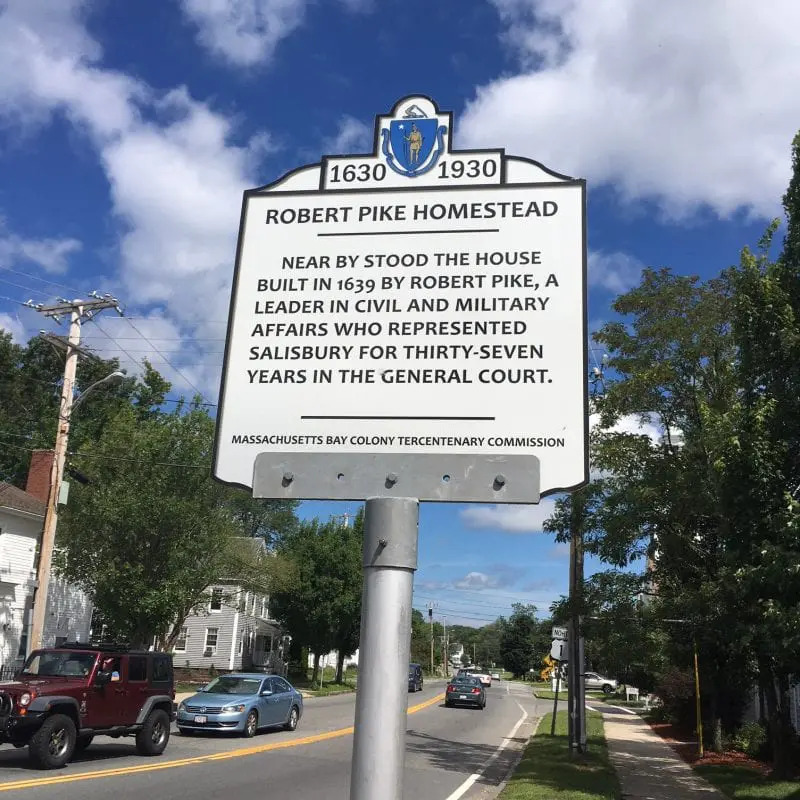 Robert Pike was born around 1616 in Wiltshire, England, and traveled to Massachusetts with his father and siblings in 1635. Originally living in Newbury, MA, Pike moved to the other side of the Merrimack River in 1639 and was one of the first founders of Salisbury, becoming an important civic and military leader. He lived in Salisbury for the rest of his life, raising eight children with his wife Sarah. Prior to the witchcraft trials of 1692, Pike was outspoken on other topics. He was arraigned in General Court in 1653 for his support of persecuted Quakers, and a long-standing feud with Salisbury’s pastor, Reverend John Wheelwright, led to his excommunication in 1675. Pike was subsequently reinstated in the church.